This is part of a series of Friday columns we're calling the Toolshed, focusing on some of the more interesting prospect-centered storylines of 2015. Have ideas, feedback or questions for Sam? Email him or tweet him @SamDykstraMiLB. On the latest edition of Toolshed, we close the book on Triple-A park factors, first covered back in early July. The numbers, including three-year data unless otherwise noted, have been updated below to include full-season data for each of the 30 Triple-A teams. A reminder that a factor of 1.000 means the park is neutral in that category. Anything higher tips the advantage to the hitters, lower to the pitchers. ** -- Charlotte and El Paso stadiums only include two-year data. Nashville not included. You have every reason to be astonished by Charlotte's home run rates for both tables. To give you an idea how we arrived at that number in 2015, there were 156 home runs hit in 72 Charlotte home games this season. Comparatively, there were 78 homers hit in Charlotte games played away from BB&T Ballpark. You shouldn't be surprised, then, that No. 21 White Sox prospect Matt Davidson ended up leading the IL with 23 homers, 18 of which came at home. At the same time, Steven Moya, who finished third in the IL with 20 roundtrippers, could have benefited from a change of venue from Toledo's Fifth Third Field and its .686 three-year home run factor. With his 65-grade power, the Tigers' No. 2 prospect hit 12 of his homers and produced a .446 slugging percentage on the road, compared to eight and .390 at home. While we're at it with the Mud Hens, consider Minor League home run king Mike Hessman. The veteran slugger's last three teams have been Toledo (2014-15), Louisville (2013) and Oklahoma City (2012). Louisville Slugger Field is the only home park among the three with a positive home run factor. You'd have to imagine he would have broken the record earlier than Aug. 3 if he played in some more homer-friendly yards. Over in the Pacific Coast League, Aaron Blair finished his third season looking very much like a pitcher who could work his way into the middle of the D-backs rotation in the near future. The durable 23-year-old right-hander went 7-2 with a 3.16 ERA in 13 outings (77 innings) for Reno after a midseason promotion, and that's even while playing his home games in a rough park for pitchers. 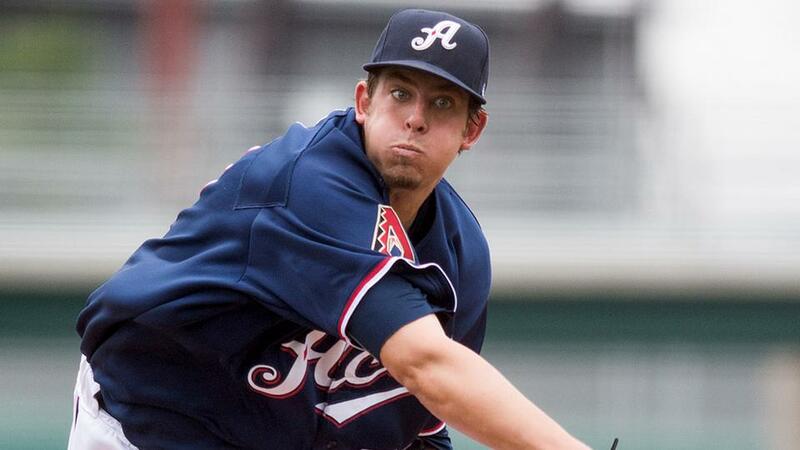 Blair posted a 3.99 ERA in 38 1/3 innings at Aces Ballpark and a 2.33 ERA in 38 2/3 frames on the road. If you were hoping park factors might have helped salvage a rough season for Joey Gallo, the top Rangers prospect in fact played in one of the fairest parks in terms of hits and runs in the PCL at Round Rock's Dell Diamond and saw somewhat similar home/road splits (.212/.299/.449 at home vs. .171/.277/.451 on the road) at Triple-A. His 14 homers were split equally as well. Alas, Gallo's problems at the Minors' highest levels came from his small contact rate as he struck out in 39.5 percent of his plate apperances with Round Rock. Interestingly, Charlotte might have its best crop of pitchers in years next season. The White Sox took Vanderbilt right-hander Carson Fulmer with the eighth overall pick in this year's Draft, and after the 21-year-old made eight starts in his first season at Class A Advanced Winston-Salem, he's considered advanced enough that he could follow the Carlos Rodon path to Triple-A in his first full season. Also, fireballing right-hander Frankie Montas made seven appearances with the big club in September but hasn't pitched in Triple-A. He could be in the IL to begin 2016 if the White Sox decide he's not quite ready for a Major League rotation spot. If that comes to pass, take any inflated stats from Chicago's top two pitching prospects with a couple grains of salt. With the way Luis Severino and Greg Bird took to the Majors this summer, many Yankees fans might turn to Triple-A Scranton/Wilkes-Barre hoping to see big things out of top prospect Aaron Judge, who has been lauded for his 60-grade power. However, the 23-year-old outfielder played in one of the IL's tougher home run parks in PNC Field and is likely to return there for the start of 2016. Judge actually performed better at home (.813 OPS, five homers in 31 games) than on the road (.563 OPS, three homers in 30 games) at Triple-A in 2015, but those numbers could easily flip next spring. Something to consider: Bird homered six times in 150 plate appearances at Triple-A. He went deep 11 times in 178 plate appearances in the Majors, despite the tougher competition.